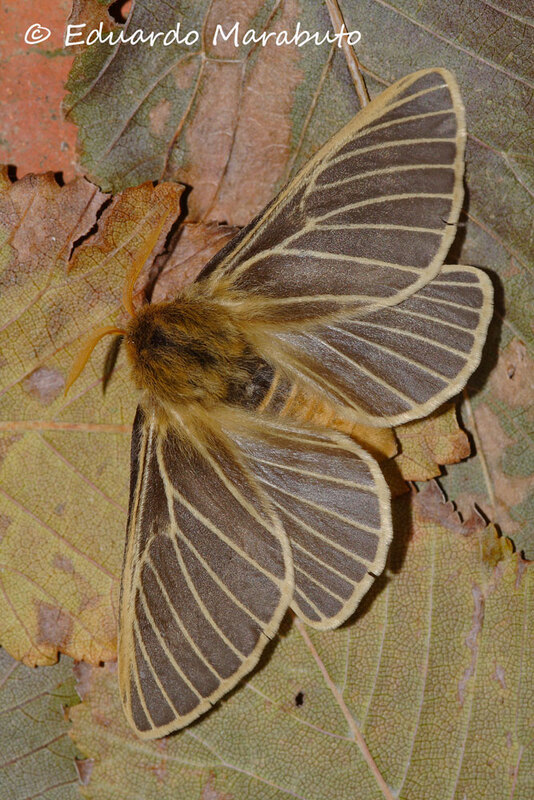 Who would imagine that away from all the huss and fuss of Spring and Summer, away from the balmy nights that bring up so many interesting insects to our porch lights there would be something flying in mid winter? Did you know there are moths, beetles, caddisflies, mayflies, bugs and other insects still flying through the year in temperate regions? Of course there are less species, life is more difficult in the cold... but what you see is usually quite unique so if you don't venture out, you won't see some of the best adapted species in our fauna. 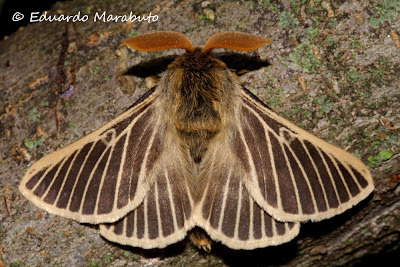 This post is about one of them, a peculiar moth called Lemonia philopalus (Lepidoptera: Lemoniidae) which we can find only in southern Portugal and Spain and Morroco+Algeria. It flies in winter nights (November-January) when it rains heavily and temperatures are freezing cold! No wonder why it has been discovered in Portugal only a mere 7 years ago, in spite of its size and beauty. Females are larger than males and fly a bit less easily. One can distinguish them easily by the more flimsy antennae. As for now, this species is only known from the wide peneplains of Alentejo where this pretty much acts like a steppe species adapted to survive in quite open situations, it seems to favour traditional agricultural practices and an intensive use of soil without semi-natural pastures seems to affect its populations. 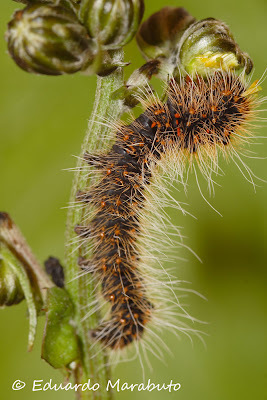 The catterpillars feed on dandelions (Asteraceae) like Taraxacum officinale, Lactuca sp. but especially on Sonchus oleraceus and Crepis capillaris which are in full bloom in March and April when we can see the hairy caterpillars. 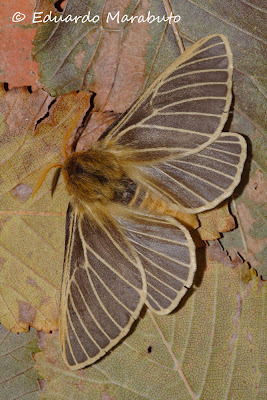 In a recent study, we have discovered that this species is seriously threatened by intensive farming practices in Alentejo, especially olive groove monocultures which use lots of herbicides eliminating foodplants, mobilizing soil in a manner incompatible with the pupal stage (underground) and improper management of roadsides and hedgerows. It's our duty to know more and do our best to conserve rare species like this moth.